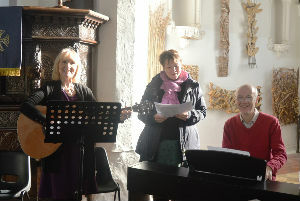 We meet every Sunday for worship at 11.15am. First and third Sundays are traditional communion services using Common Worship. Second and fourth Sundays are less traditional in style - there is no communion and there is a mix of traditional and contemporary music. 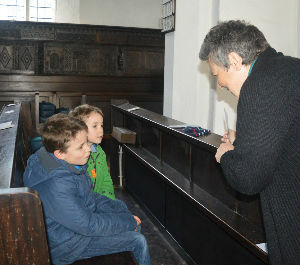 These 'Morning Worship' services are particularly suitable for families, although all ages seem to enjoy them! In fact, from January 2016 we are making the 2nd Sunday of each month especially aimed at all ages (see below). We serve 'real' coffee and biscuits after every service, giving people the opportunity to talk with each other and also get to know newcomers. St Peter's is not just for Sunday - a thriving home group meets on Tuesday mornings to read and discuss the Bible - and drink more coffee! There is also a Caring Team who discreetly offer support and prayer for those in any kind of need. The church is well supported by many in the community such as the bell ringers, the Flower Guild and also the Friends of St Peter's. 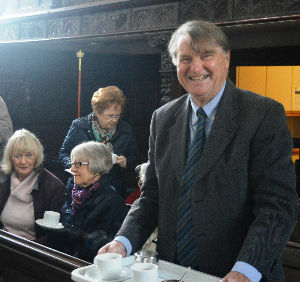 The church building is of considerable historical interest - click here if you would like to know more.